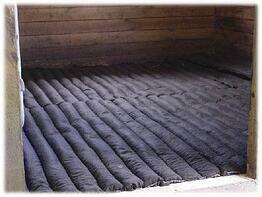 Stall mattresses are a real benefit to a horse’s joints, especially those recovering from leg injuries. They also provide soft, but supportive footing for horses with hoof problems like laminitis. A resilient yet forgiving surface closely mimics natural pasture. 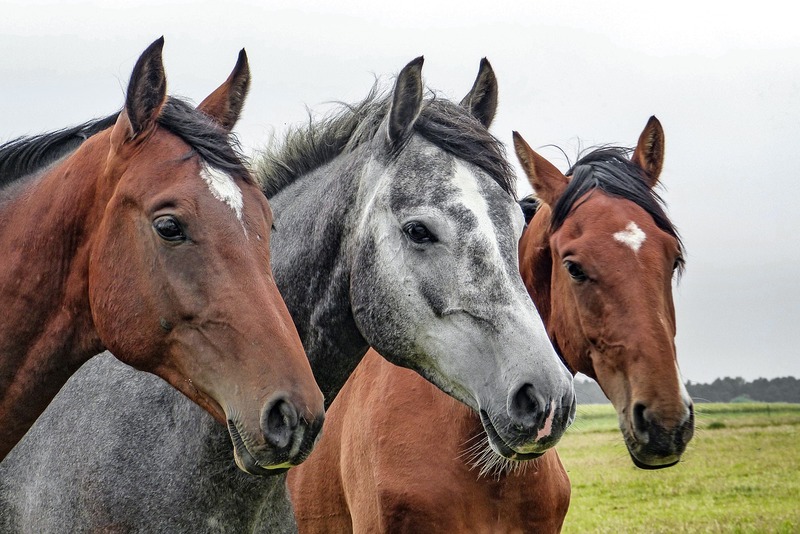 Horses stabled on a mattress system are more likely to lie-down for better rest. It also helps eliminate slipping when getting up and down. Hock sores in recumbent horses are greatly also reduced. Another benefit of using a stall mattress is an improved quality of air to keep your horse’s respiratory system healthy. A mattress system allows you to use just enough bedding to absorb urine without having to use too much for cushioning. Less bedding use means easier clean-up, less manure to get rid of and less bedding to buy. 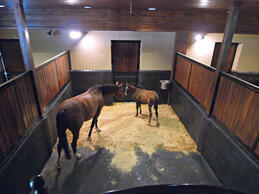 Classic Equine Equipment is proud to offer the StableComfort™ mattress system . The StableComfort™ stall mat system is comprised of two components: A multi-celled mattress filled with uniform sized rubber crumbs and a top cover. The rubber crumbs provide the mattress with a very high level of horse comfort and shock absorbency. The top cover is made of an industrial-strength geotextile and impregnated with a vulcanized rubber compound that not only adds to its indestructible durability, but makes it a nondraining, water proof stall mat system. Installation begins by placing the 4’ x 6’ crumb-filled mattress in the stall. Extra crumb is placed on top of the mattresses to fill any gaps. A one-piece top cover is placed over 4’ x 6’ crumb-filled mattress and fastened to the stall walls using plastic fastening strips and screws. 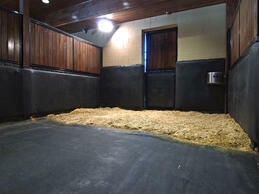 This ensures that no bedding or waste gets underneath the stall mat system. For more information on how you can give your horse a bed fit for a king or queen, visit our website or contact us at sales@classic-equine.com. Posting & Reprinting encouraged by American Horse Publications.